What does Social Security pay for? Does a person automatically get part A Medicare and then have to apply for part B? How can I get a copy of my 2013 SS earnings on line? How can I make an appointment by phone weeks ahead to discuss my concerns? What are the maximum taxable earnings amounts and the Social Security tax rate for 2013? When you have wages or self-employment income covered by Social Security, you paySocial Security taxes each year up to a maximum amount set by law. For 2013, you will pay Social Security taxes on income below $113,700. You must pay Medicare taxes on all income. Self-employed —the Social Security tax rate is 12.4 percent on income under $113,700 through the end of 2013. The Medicare tax rate is 2.9 percent. 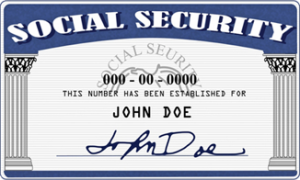 ← What does Social Security pay for?